Arriving in 2016, Starlock is the new standardised mounting system for multi tools developed by Fein and Bosch. The collaboration of the market leaders in oscillating power tools sees a joint effort to provide customers with an improved mounting system with better performance and compatibility with a wider range of multi tools. Corded and cordless Oscillating Multi Tools continue to grow in popularity, seen in the new AFMM18 and GOP18V-EC, so it makes perfect sense that Fein and Bosch have come together to launch a mounting system for blades and accessories that fit a wider range of multi tools. The main aim of the new system is to offer users one common standard that delivers greater performance through faster work progress and more precise results. The new Starlock Mounting System is great news for customers, providing a much simpler way to choose the blades and accessories with the right fitting for your multi tool. A standard feature across the three different classifications will be the 3 dimensional interface that will, according to Fein, allow for the ‘highest work progress due to 100% power transmission’. We’re confident users will notice a difference in the usability and efficiency of the new Starlock accessories, while StarlockPlus and StarlockMax will provide professionals with even higher performance. Starlock: The patented mounting from Fein and Bosch works reliably with their oscillating power tools and tools with the universal twelve-point mounting from other manufacturers. StarlockPlus/ StarlockMax: Higher performance grade that ensures the accessories match the power output of both existing Fein and Bosch multi tools, as well as new oscillating power tools due for launch in 2016. The new Starlock Mounting System will be compatible with Fein, Bosch, Makita, Hitachi, Metabo, Milwaukee and Einhell oscillating power tools. Owners of a Dewalt multi tool will need to use an adaptor. What multi tool do you use? Try Fein’s compatibility checker here. 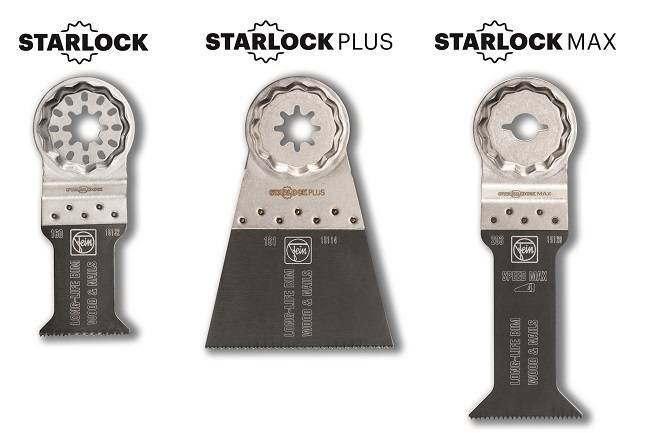 New blades and accessories that feature the StarlockPlus or StarlockMax mounting system will only be compatible with Fein and Bosch multi tools. We’ll be keeping tabs with Fein and Bosch for more news on the StarlockMax range. 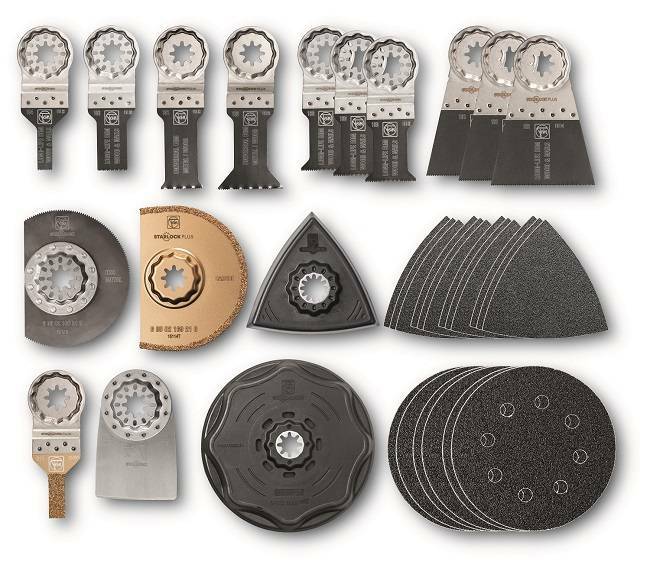 As for availability, Anglia Tool Centre will be stocking a range of the new Starlock blades and accessories online and in store in the coming weeks – follow us on Facebook and Twitter for updates.